We will give you a definitive plan for not just getting inbound marketing buy-in from your entire team, but also key ways you can get them excited, engaged, and turn them into your strongest advocates. The biggest frustration for marketers today is the lack of support and shared vision they receive from the rest of their organization when attempting to embrace the power of inbound marketing. As most marketers know and can attest to, inbound marketing improves the visibility of the company, as well as brand perception, promotes customer interaction and higher quality leads, and best of all, it costs less than traditional marketing by a wide margin. Management oftentimes isn’t fully supportive. Sales Departments resist change and new methodologies. Only one person in the company knows about the content being produced. The sales team isn’t contributing to content topics (even though they are the ones answering customers’ and prospects’ questions). The sales team isn’t using or sharing the content assets being produced. The CEO, CMO, CFO can not truly “define” inbound marketing. The leads that come in are going to sales, and then what? The executive team doesn’t really understand how Google works. In this post, we will give you a definitive plan for not just getting inbound marketing buy-in from your entire team, but also key ways you can get them excited, engaged, and eventually turn them into your strongest advocates. Do you understand the value of content marketing? Can you clearly present the benefits in a way that easy for non-marketers to understand? If you ever hope to obtain content marketing buy-in, you have to know exactly what you’re presenting. You have to know WHY you’re asking your whole team to get on board. Inbound marketing allows customers to come to you, to find what they need on their terms rather than having a message forced upon them. People are far more likely to interact with a brand when the pressure is off and they’re receiving value. Eleven billion searches are conducted on Google every month. Content marketing is the best way to ensure your company is getting its fair share of that traffic. The right content can drive countless visitors to your site for years and expose otherwise unknowing leads to the benefits of doing business with your company. According to Search Engine Journal, inbound leads cost 61% less than outbound leads. Besides the costs of in-house content marketers or freelancers, there are no recurring costs associated with content marketing. When done right, this brings your cost per lead down to a level far below just about any other type of marketing. Outbound can serve a purpose in the proper time and place, but it just can’t compete with inbound for long-term efficacy and efficiency. According to HubSpot, companies that blog generate 126% more leads than companies that don’t. That’s more than twice the leads for something as simple as blogging. Not only does inbound drive more leads, it drives higher quality leads. 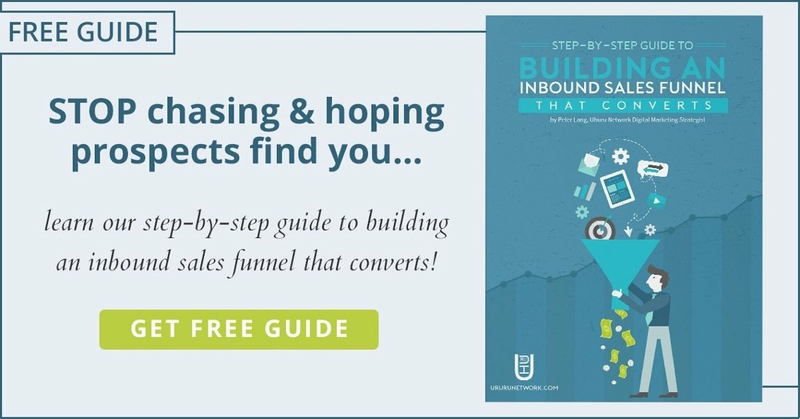 Rather than casting a wide net with outbound and hoping that you catch the fish you were after (ideal customers), inbound uses your content as the bait to attract ideal leads that are more likely to convert. The top search results are generally regarded as the most influential ideas posted by the most authoritative brands. These ideas are more readily accepted by both your customers and others in your industry. Nearly 60% of marketers are already participating in content marketing because it helps them showcase their expertise and establish themselves as an industry thought leader. As you create content, you create the headlines for articles related to your brand that receive ranking in the search engines. That way, when people search for anything to do with your brand, you have control over the public perception of your company. When you can clearly communicate the benefits of inbound marketing, getting content marketing buy-in from your team becomes far easier. You also have to understand which areas of your company are impacted by a strategy shift. Now that you have an idea of the big picture, it’s time to start working on getting what you’re after: content marketing buy-in. Content marketing buy-in begins from the top at an executive level. When your leaders are on board, the rest of your organization will quickly follow suit. In order to get your executive buy-in, you need to understand the types of people you’re working with. Your executives are either strategic, tactical, or a blend of both. The key objective is to clearly identify yours so you can better present the inbound marketing opportunity. Tactical Executive – 99.0% – They focus on the details, daily activities, and tactics to run the operation, but have no clear strategy. Strategic / Tactical Executive – .2% – This is the rare strategist, who implements their ideas and tactics with piercing effectiveness. Are your executives tactical, strategic, or even both? Use the trait lists below to understand just who you’re influencing. Tactical – What is a Tactic? Strategic – What is a Strategy? The long-range goal, the overall impact. What is the ultimate accomplishment, or ultimate position you want in the market? What is the ultimate perception you would like your clients to have about your company? Once you’ve identified who you’re presenting to, build a presentation strategy that resonates with that persona. The best way to go about making the ask for a content marketing buy-in is through an information-rich, engaging presentation. Make sure the leadership behind your brand understands the value of a powerful content marketing strategy as much as you do by outlining it for them in a way they’ll understand and that is impactful to their persona. You know your audience best, so tailor your presentation to their priorities and perspectives. Use the following tips to boost the power of your presentation. Be clear about what you’re asking for – Don’t wait until the end of your presentation to discuss what you’re after. Instead, be clear about your ask upfront and use the rest of your presentation to explain why it’s the best choice for the company’s brand. Explain what’s currently being done – Lay out exactly how your marketing is currently being done and include where there is room for improvement. Be sure to include areas where you feel incorporating content marketing would be most beneficial. Outline the benefits – We covered the benefits of content marketing above so you could include them during this part of you presentation. Avoid rattling off a list of generic benefits. Instead, discuss the individual ways that inbound will benefit your brand. More specifically, how will it benefit your presentation audience directly? Prove your claims – Don’t just tell them, show them. Use case studies and reports that closely relate to the content marketing strategy you plan to implement in your organization to prove that it works. Outline your plan of attack – Now that you’ve got them all fired up, present your plan. Detail your powerful content marketing strategy that will take your organization to the next level. Ask – Make a clear ask for exactly what you want in a clear and concise manner. Don’t forget to make it easy for them to take action right away. You want your presentation’s momentum to take you as far as it can, so have the avenues in place to get the ball rolling as soon as you get the approval. Be confident about the benefits of content marketing. Be prepared for lots of questions. Be friendly and open to speaking about concerns they may have. Once you’ve got the executive buy-in, then what? Time to get the whole team onboard. It is most effective to do this in a group setting with a workshop training session. The real power of workshops is in stopping everything to work on your challenges with the deliberate intention to improve your results in both the short AND long terms. Anyone who could possibly be seen as a content generator should participate in the content marketing training. That means sales and that means management. Insourcing from both these teams for content is a great way to generate tons of excellent content from multiple levels, skillsets, tones, and viewpoints. There is often a massive gap between the sales and marketing departments, so it’s crucial to make sales a part of your training. Decision makers (executives) should also participate. They’ll be able to more fully understand the benefits of your new strategy as you take them through the process step by step. You may even find the more proactive execs stepping up to become some of your best thought-leading content creators. Imagine how well rounded and informative your blog could be when you have an engineer (for example), a salesperson, and your CCO contributing to your content production in the same month. Different perspectives from insiders will broaden the scope of your blog, appeal to more readers and prospective clients, and help keep insiders engaged in the inbound marketing process. Your company will have individual requirements based on the number or departments taking place in your training, the number of people in each department, and the amount of time you’re able to pull entire departments away from their regularly scheduled work to attend training. How many team members will you be training? Will you need to separate training sessions by department? How long can you make your training session? Will you need to train over multiple sessions (days)? The questions above should give you an idea of how your training session(s) will look. Now we have to go over what to include. You’ll have to clearly present exactly what inbound marketing is. That means explaining the strategy in simple terms to people who likely have no idea what you’re talking about. Be sure to include some information on how Google works and the direction marketing is heading as a whole. Now that they know what it is, you’ll have to explain why it’s important to the company and to them personally. Include everything that I listed above in the benefits section. Talk to them department by department and point out how each benefit is relevant to their overall departmental goals. Sales should understand how more high-quality leads can makes their job easier, but don’t forget about the less obvious departments you’re speaking to as well. For example, if you have a team of programmers attending the training for your software development company, explain that higher-quality leads means sales will be accepting contracts better suited to their particular skill set, meaning less frustration and a smoother development process. The processes involved in content marketing are pretty straightforward, but you’ll be teaching them to beginners. Explain what makes content valuable and engaging to your particular market. Show examples of ideal content that you’ll be publishing and encourage them to create with you. Pro Tip: Create content outlines with examples that can be distributed to each person in your training (digitally), so they have resources for future content production initiatives. HubSpot has created an excellent slideshow resource for teaching inbound. Use it as an example when creating your own presentation or customize it to suit your individual needs. See it here. The pressure is on to deliver results once you’ve received your buy-in. The problem lies in trying to display the immediate results of a long-term marketing strategy. There are, however, metrics you can track to provide some feedback about the success of your content in the short term. While search engine traffic may not show a massive bump for a few months (or longer), you should get a baseline before implementing your content marketing strategy. If there is a quick increase in traffic, you’ll be thankful to have the numbers to prove it. Likes and shares on Facebook are a good way to determine whether or not your content is successfully engaging your target market. Pay attention to an increase in the number of followers and social mentions your brand receives too. They will also show an increase in engagement, which is a big positive when reporting back to the executives. While search traffic may not increase right away, your backlinks may, and backlinks are a good way to prove your content marketing success. When others are referring to your content via links, you’re gaining exposure to their audiences while obtaining proof of your industry influence. You may also see an increase in your leads and conversions as you promote your valuable content. These, believe it or not, are the metrics that your executives probably find most valuable. You understand the long-term benefits of content marketing, but they’ll still be eager to see short-term results. Make sure you’re able to show them any boost in traffic and sales that you receive by documenting your baseline! You’ve got everything you need to get the content marketing buy-in you’re after. Take what you’ve learned today and prepare yourself for the presentation that will undoubtedly change your marketing strategy for the better. You have what it takes to get your company on board, so prepare yourself and approach the task at hand with confidence. You’ll be leading your brand into the inbound arena in no time.